If you are based in North London and are having problems with a faulty boiler, you could benefit from a local boiler repair company who can diagnose your boiler fault code and get your central heating system back in full working order. Keeping your boiler in full working order is essential to ensuring your home is a warm and comfortable place to live, and JustBoilers.com in North London can keep your system running efficiently so you have hot water and heating all year round. 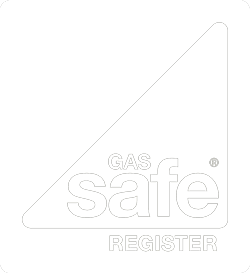 Here at JustBoilers.com, we are a team of fully qualified Gas Safe heating engineers who have been working in boiler maintenance for more than 30 years and have a deep knowledge of broken boiler repair. Also, as we are Corgi Gas engineers, we are the perfect choice for your boiler repairs since we can carry out all works to the highest standard so that you can have peace of mind. If we think that your boiler is no longer economical to repair and it is an old boiler for example, then we will provide you with a free quote to install a new efficient boiler. We have very competitive boiler installation prices, and you will get the best engineer in North London, installing your boiler with a remarkably low boiler install cost. If it is an emergency boiler repair or an urgent boiler breakdown in North London then please don’t hesitate to call us straight away for our honest advice.